When it premiered earlier this year, the Spider-Man: Far From Home trailer pumped up fans for the web-slinger’s latest adventure. But it also brought up a very interesting question- who will be the main villains? Jake Gyllenhaal’s Mysterio certainly has questionable motives, but there are also mysterious environmental creatures that emerge, and a few photos of upcoming LEGO building sets could reveal just who they are. Comic Book Resources recently ran a story that features these images, which you can find at that link. The sets are “Molten Man Battle” and “Hydro-Man Attack.” This indicates that these two Elementals will pop up at some point in the film; however, it’s unknown if they align with Mysterio, or have their own dastardly plans in mind. The first set features Molten Man as a large, orange-colored monster that can shoot fireballs out of its left hand. It looks like several mini-figures are also in the set, including Spider-Man’s new black suit. Mysterio appears to be part of this set. The second set features Hydro-Man, along with three mini-figurines featuring Mary Jane and Peter Parker, as well as Mysterio. Fans have talked for some time about seeing the Elementals introduced into Sony’s cinematic Spidey-verse, as it were. 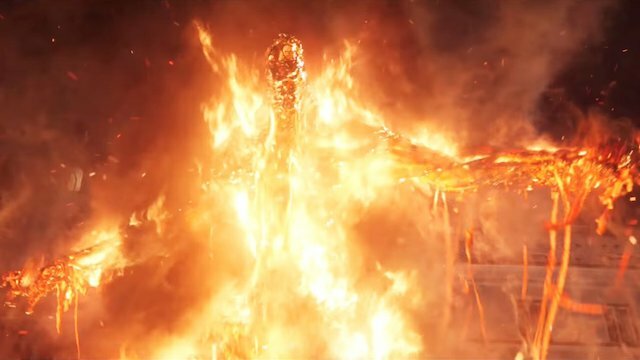 The trailer hinted that Molten Man and Hydro-Man would appear, along with hints of Sandman. We haven’t seen a play set for the latter just yet, but we could closer to the film’s release. This isn’t the first time that a LEGO set has provided a potential spoiler for a film. Months before the release of Avengers: Age of Ultron, a set leaked online had Tony Stark’s Hulkbuster armor front and center. We’ll see what surfaces when Spider-Man: Far From Home arrives in theaters on July 5. Again, you can see the sets here. What do you think about the Elementals in the Spider-Man Rogue Gallery? Let us know in the comments below!